Joseph Groves Boxhall, Titanic’s fourth officer, was born on 23 March 1884 in Hull, England. Boxhall had served almost 13 years at sea when he boarded Titanic in Belfast on 27 March 1912, prior to the liner’s maiden voyage. Boxhall launched his nautical career as an apprentice for ship owner William Thomas in Liverpool. He then joined Wilson Line, eventually rising to officer rank. He was hired by White State Line in 1907. Boxhall was off duty when Titanic struck the iceberg. Hearing the lookout bell ring, he hurried to the bridge to offer his assistance. The 28-year-old officer was ordered to begin calculating the stricken ship’s position and to fire distress flares. As Titanic’s situation became hopeless, Capt. 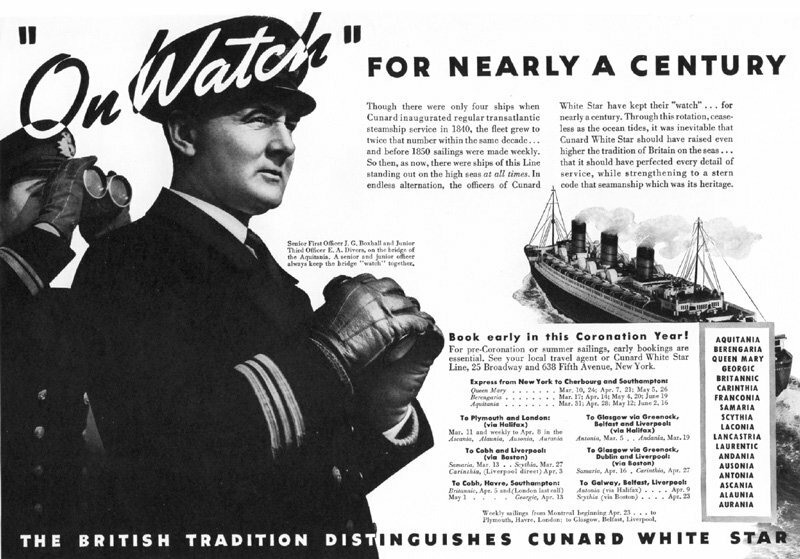 Edward J. Smith ordered Boxhall to take command of Lifeboat 2, containing about 35 passengers and crew. After about two hours adrift, Boxhall and the lifeboats’ passengers were rescued by the Cunard liner Carpathia.